Lady Gaga is celebrating the big 31 today and what an amazing array of things she’s achieved during this time, from wearing a dress and hat made entirely out of meat, to winning over 20 awards during her career including Grammy’s, Golden Globes and even an Oscar! She’s one accomplished Gaga! But apart from the music, another thing she is most well-known for is her eccentric, ever-evolving style! From her ever-present David Bowie references, even at the start of her career (as seen in her Just Dance video) to one of her favourite designers, the late Alexander McQueen. 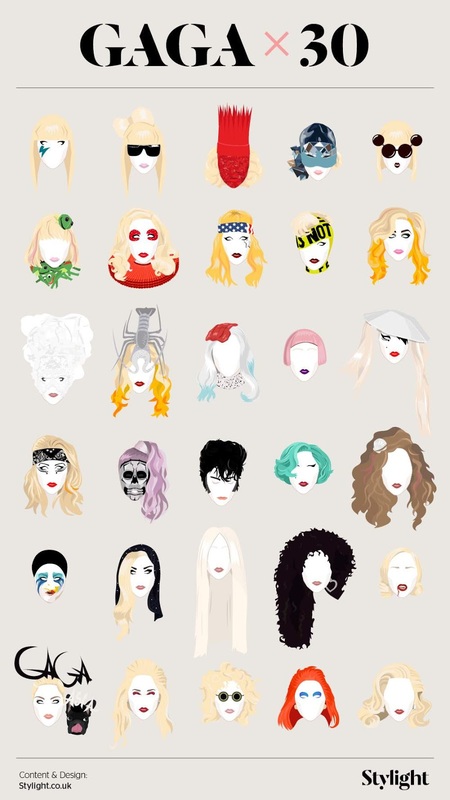 What better way to celebrate the fashion chameleon and music icon’s 31st year than to compile her most memorable hats and hair looks from the course of her career. It’s a true showcase of someone who will never fail to amaze her fans around the world with her love of fashion.